First Figure: If my memory serves me, it was a 1977 Kenner Star Wars Death Squad Commander Collection Size: Small to Medium. Due to a funds issue, I only collect those figures that really "speak" to me. 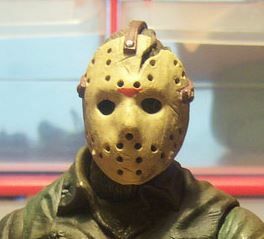 Want List: MEZCO PX Previews Jason Voorhees Friday The 13th Remake both Masked and Hooded. MEZCO Cinema Of Fear Jason Voorhees Friday The 13th Part VI, Jason Goes To Hell and Thomas Hewitt aka Leatherface!